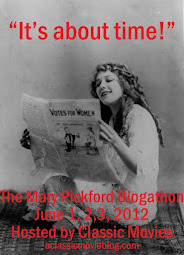 I am excited to once again participate in a giveaway with Flicker Alley. This time you have the opportunity to win the absolutely amazing Early Women Filmmakers Anthology on DVD/Blu-ray. From the avant garde to the mainstream and including filmmakers from around the world, this is a delightfully diverse release. I am so excited to see these films gathered together in a thoughtfully compiled, six disc collection. Despite their incredible achievements, many early women filmmakers have been largely written out of film history, their contributions undervalued. On May 9th, Flicker Alley presents Early Women Filmmakers: An International Anthology on Dual-Format Edition Blu-ray/DVD, showcasing the work of 14 of early cinema's most innovative and influential women directors, re-writing and celebrating their rightful place in film history. Read on for your chance to win a copy! International in scope, this groundbreaking collection features over 10 hours of material, comprised of 25 films spanning 1902-1943, including many rare titles not widely available until now, from shorts to feature films, live-action to animation, commercial narratives to experimental works. These women were technically and stylistically innovative, pushing the boundaries of narrative, aesthetics, and genre. Going back to the beginning of cinema, this collection makes visible the tremendous directorial contributions women made all around the world. Beautifully restored in high definition, Early Women Filmmakers features new scores by Sergei Dreznin, Frederick Hodges, Tamar Muskal, Judith Rosenberg, and Rodney Sauer and the Mont Alto Motion Picture Orchestra. Booklet Essay:By film scholar and Women Film Pioneers Project Manager Kate Saccone. Audio Commentary: For Lois Weber’s The Blotby author, professor, and expert onwomen and early film culture Shelley Stamp, courtesy of Milestone Film and Video. 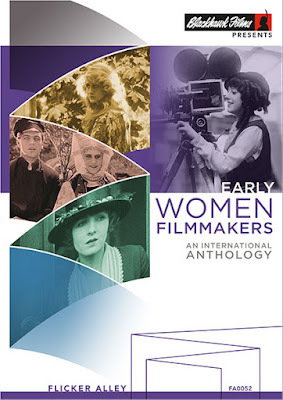 One lucky winner will receive a copy of Early Women Filmmakers: An International Anthology on Dual-Format Edition Blu-ray/DVD from Flicker Alley! Giveaway is open to residents of U.S./Canada and ends on May 22, 2017. Enter to win on the form below and please let me know in the comments section why you are excited about this collection! So many films, this is like a class on Early Cinema. Very curious to watch these films. Hopefully I can find a hidden gem here. Thanks!